To claim this profile, please confirm you are Marcus Pacheco. To follow this profile, please let us know your relationship to Marcus Pacheco. The Sierra varsity baseball team lost Friday's home non-conference game against Sheridan (Denver, CO) by a score of 19-4. The Sierra varsity baseball team lost Thursday's home conference game against Mitchell (Colorado Springs, CO) by a score of 18-7. RESULTLoss Varsity baseball @ Mesa Ridge. The Sierra varsity baseball team lost Tuesday's away conference game against Mesa Ridge (Colorado Springs, CO) by a score of 18-3. RESULTLoss Varsity baseball @ Widefield. 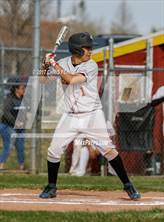 The Sierra varsity baseball team lost Thursday's away conference game against Widefield (Colorado Springs, CO) by a score of 17-0. RESULTLoss Varsity baseball @ Woodland Park. The Sierra varsity baseball team lost by forfeit in Tuesday's away conference game against Woodland Park (CO). RESULTLoss Varsity baseball vs. Sand Creek. The Sierra varsity baseball team lost by forfeit in Saturday's home non-conference game against Sand Creek (Colorado Springs, CO). RESULTLoss Varsity baseball vs. Elizabeth. The Sierra varsity baseball team lost Thursday's home conference game against Elizabeth (CO) by a score of 31-4. RESULTLoss Varsity baseball @ Ellicott. The Sierra varsity baseball team lost Saturday's away non-conference game against Ellicott (Calhan, CO) by a score of 1-0. The Sierra varsity baseball team lost Saturday's away non-conference game against Ellicott (Calhan, CO) by a score of 18-2. RESULTLoss Varsity baseball vs. Pikes Peak Christian. The Sierra varsity baseball team lost Thursday's home non-conference game against Pikes Peak Christian (Colorado Springs, CO) by a score of 19-4. Marcus' baseball stats have been updated for the winbyforfeit @ Mitchell. The Sierra varsity baseball team won by forfeit in Tuesday's away non-conference game against Mitchell (Colorado Springs, CO). Marcus has been added to the Sierra baseball roster. Marcus' baseball stats have been updated for the loss vs. Colorado Springs Christian. The Sierra varsity baseball team lost Monday's home non-conference game against Colorado Springs Christian (Colorado Springs, CO) by a score of 16-2. RESULTLoss Varsity baseball vs. Ellicott. The Sierra varsity baseball team lost Saturday's home non-conference game against Ellicott (Calhan, CO) by a score of 16-3. The Sierra varsity baseball team lost Friday's away conference game against Mitchell (Colorado Springs, CO) by a score of 12-1. The Sierra varsity baseball team lost Tuesday's home conference game against Elizabeth (CO) by a score of 23-0. The Sierra varsity baseball team lost Friday's away conference game against Widefield (Colorado Springs, CO) by a score of 11-0.